I didn’t realise that I was in a Christmas mood until I noticed that my last few blog posts have been about it. I think I can live with that though. After last week’s special Food for Thought I still had plenty of interviews and ideas to make another special, and when else am I going to use it? This week was a slightly different take as there was a history lesson from the Museum of Lincolnshire Life who helped me to find out what dinner Victorian families could expect on Christmas Day. There’s also Christmas sandwich reviews and help if you have a vegetarian coming round over the holidays. A lot of our Christmas traditions come from the Victorians, and when I think of a Victorian Christmas Day I think of Scrooge from ‘A Christmas Carol’ asking for the biggest goose to share with those less fortunate than him. Talking to the Museum of Lincolnshire Life, who held a Victorian Christmas, the Dickens tale is close to reality. 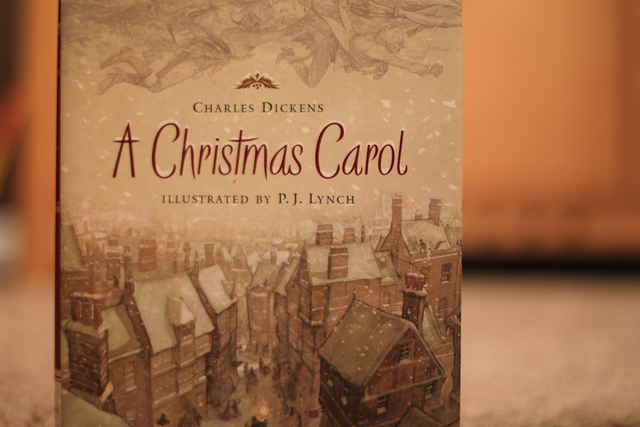 To find out more and hear some of the Dickens novel listen here. I do love what shops think a Christmas sandwich should be like, so in the run up to making these Christmas specials I was loving The Poke’s video reviews of said sandwiches. Then when making programmes you get silly ideas. So I tweeted the guy who came up with the reviews and asked him onto Siren FM and he agreed. Reviewing sandwiches may sound like fun, but Adam takes it seriously as he explained to me. When I was thinking about all the important parts of a Christmas dinner I came to realise that if you aren’t a vegetarian you would be a bit stuffed. After chatting to some vegetarians it turns out nut roasts aren’t that nice either. Then I spoke to Karin Ridgers from Veggie Vision TV who gave the show plenty of ideas for vegetarians and vegans as well as pointing out mistakes that people make when catering for others. Hopefully you now have some ideas for what to make and eat over this Yuletide season. Food for Thought does carry on over the holidays on Siren FM on Wednesdays at 2pm and Saturdays at 3pm with some best bits.